Niacinamide - is the active form of Vitamin B3. A safe, non-irritating cosmeceutical ingredient which research shows can offer a number of benefits in improving the appearance of aged and photo-damaged skin and improve skin moisturization. It has been shown to stimulate collagen synthesis and production of ceramide, a lipid compound that contributes to the functional and structural integrity of the skin barrier. Theoretically, by improving barrier integrity, niacinamide may help the skin become more resistant to external irritants. Topical use of niacinamide has been shown in clinical studies to effectively reduce the rate of sebum excretion and its casual serum levels, making it effective for acne. Licorice Root Extract - Is an anti-inflammatory, anti-irritant that soothes and heals the skin. It contains liquiritin and isoliquertin which induce skin lightening by enhancing even pigment distributions. Ideal for acne treatments and hyperpigmentation dark spot corrections. D-panthenol promotes stimulation of epithelization, granulation, mitigation of itching and has an anti-inflammatory effect. When used in formulations over the course of three to four weeks, it has the potential to improve the appearance of the skin, including dryness, roughness, scaling, pruritus and erythema. Further, its moisturizing properties improve stratum corneum hydration, reducing transepidermal water loss and maintaining skin elasticity and softness. Salicylic Acid which is both analgesic, antiseptic, anti-inflammatory and astringent. Contributes to the preservative efficacy of formulas. 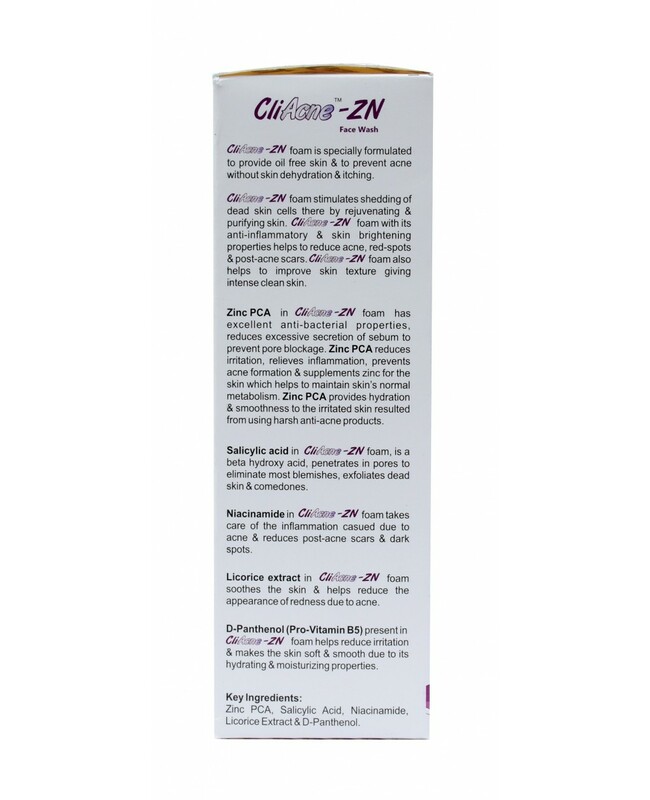 Zinc PCA moisturises the skin and regulates the skin's sebum production thereby controlling excess oil production. zinc is effective for helping to treat acne and eczema.